Halloween will be jumping out at us soon! For all the lovers of good spooky Halloween flicks, we’ve put together a list of movies you’ll want to sink your teeth into for the occasion. After all, what’s Halloween without willingly scaring yourself and eating all the treats with your mates? 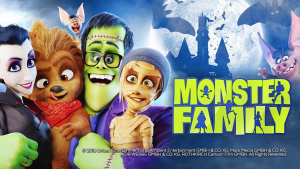 There are two themes available in Fetch Movie Store Halloween themes: one with family-friendly movies to enjoy and one just for adults. While 13 may be unlucky we thought it was perfectly fitting for a Halloween selection – so prepare yourself for 13 of the spookiest films ever for a boo-tiful and bewitching movie night. Zach Cooper is upset about moving from a big city to a small town but finds a silver lining when he meets his next door neighbour, the daughter of bestselling Goosebumps series author R.L. Stine, Hannah. The monsters that Stine’s books made famous are in fact real, and Stine protects his readers by keeping them locked up in his books. But what happens when Zach unintentionally unleashes the monsters from their manuscripts and start terrorising the town? Will Stine, Zach and Hannah find them and get them back? Loosely based on H.P. 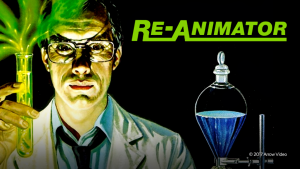 Lovecraft’s classic horror tale, scientist Herbert West has discovered a fluid that brings living tissue back to life. After the death of his professor, West moves to a new university to continue his research where he involves a dedicated student and his girlfriend in his research by experimenting on their dead cat. There’s a serial killer at large who’s seen a few too many scary movies. Suddenly, nobody is safe, as the psychopath stalks victims, taunts them with trivia questions, and then kills them. With her mother’s death only the year prior, Sidney begins to suspect that her mother’s death and the two new deaths may be related. Her only hope is to stay one step ahead of this crazed slasher by knowing her trivia! 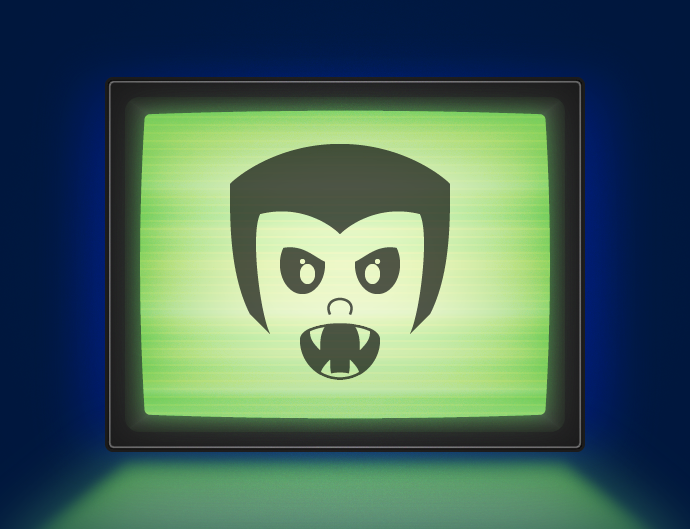 Drac’s pack look forward to fun and adventures on the high seas as they embark on a luxury monster cruise ship. The monsters indulge in all the activities the cruise has to offer, but the dream vacation turns into a nightmare when Drac falls for the mysterious captain of the ship, Ericka, who hides a dangerous secret that could destroy all of monsterkind. 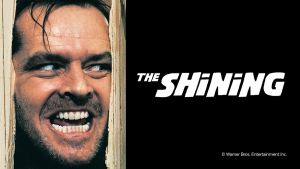 In this adaptation of Stephen King’s horror novel, frustrated writer Jack Torrance and his wife and psychic son head to an isolated hotel for the winter so he can work as a caretaker and write in peace. What they experience is far from peaceful. There is an evil spiritual presence that influences the father into violence while his psychic son sees horrific forebodings from the past and of the future. Coraline has moved with her parents from Michigan to Oregon and finds herself missing her friends and seeking excitement. When she walks through a secret door in her new home, she discovers a parallel reality that is eerily similar to her real life – only much better. 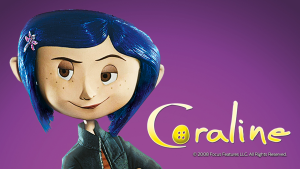 But when this wondrously off-kilter, fantastical adventure turns dangerous and her counterfeit parents try to keep her forever, Coraline must count on her resourcefulness, determination, and bravery to get back home. Four friends are involved in a hit-and-run incident when their car hits a fisherman. Assuming that the stranger they’ve hit is dead, they throw his body into the sea. A year later the teenagers terrible secret comes back to haunt them in the form of a note that simply says, “I know what you did last summer”. 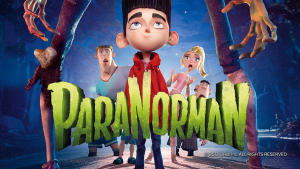 Norman Babcock is a boy who can speak to the dead, but no one besides his eccentric new friend, Neil, believes that his ability is real. Norman’s estranged uncle tells him of an important annual ritual he must take up in order to protect the town from a curse cast by a witch it condemned centuries ago. Norman eventually decides to take part, but things don’t go according to plan. 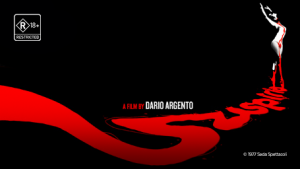 Widely considered to be the most shocking and hallucinatory horror movie in history, Suspiria stars Jessica Harper, a young American ballet student who arrives at a prestigious European dance academy and is confronted by a series of bizarre and horrific deaths. Despite the picture, the Wishbone family is far from happy and Emma is at her wit’s end trying to be the perfect mum. There’s no wonder her family fights all the time with a bookshop on the brink of bankruptcy, an overworked and exhausted husband, a daughter going through those awkward teenage years and failing her exams, and a son who is too intelligent for his own good and being bullied at school. 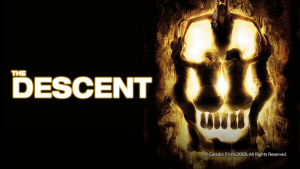 A group of close female friends on a yearly adventure vacation find themselves trapped and hunted in a series of caves by an unknown force that lurks in the shadows. The group embarks on a cave expedition that takes a turn for the worse when a rockfall leaves them stranded with no map and only a handful of supplies to last them the rest of the trip. But that’s not all! They’re faced with another danger when they come face to face with a strange predator whose love of the dark is as strong as its lust for blood. After solving their latest case involving a beleaguered toy company owner, the group go their separate ways as they’ve had enough of Fred taking credit for everyone’s hard work. 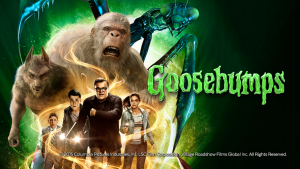 Two years later, they are reunited at Spooky Island, a theme park and teen spring break destination that the owner claims is plagued with ghosts. 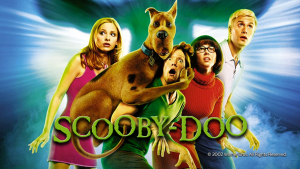 Suspicious as usual of any claims involving the paranormal, the Mystery Inc. clan is soon probing a scheme involving ancient rites, summoned spirits, and brainwashed college students, forcing the group members to resolve their differences and uncover the truth. The Freeling family are a typical middle class family living in the peaceful Cuesta Verde Estates. 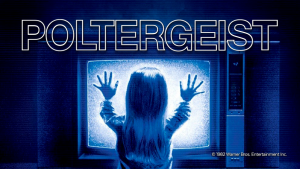 Late one night 10 year old Carol Anne hears a voice coming from inside the television. Curious events continue to take place and Carol Ann is repeatedly drawn to the television, where she begins to talk to “the TV people”. Suddenly she is sucked into another world and her parents are forced to turn to an exorcist for help. Do you have a favourite film that gives you fright? Comment below with your go-to Halloween film! Erin, I don’t have fetch (Netflix and Stan) but wanted to recommend The Haunting of Hill House for a binge watch on Netflix and ask,”Why is Suspiria an R18+ its a beautiful gory comedy, where as The Descent is a true horror flick. would be nice to know before buying/renting if the advertised movies had Closed Captions !! Sorry to hear this! If you’ve had a chat to our team about this, bear in mind that some offers are only available at time of signup. Having said that, you are always welcome to login to the MyWestnet page (https://myaccount3.westnet.com.au/login) and add Fetch there!